Something very exciting is happening for Townsville – a wave of the world’s top kiteboarders has rolled in for an action-packed event that will be streamed all over the globe. Over the next week we will play host to the first ever KiteFoil Gold Cup for the third and final race of the international series that will see the first ever Hydrofoil Kite World Champion crowned right here in our city. TheGo had the privilege of catching up with kiteboarding legend Damien LeRoy ahead of the seven-day series, who arrived earlier this week from his base in Florida, US. Damo has stood on the international podium countless times and was named World Kiteboarder of the Year in 2011 after switching from a career in professional skiing, but it’s only fairly recently that he’s turned his attention to the superfast hydrofoil kiteboarding – a style of the sport that’s reaching new heights all over the world. What’s hydrofoil kiteboarding in a nutshell? 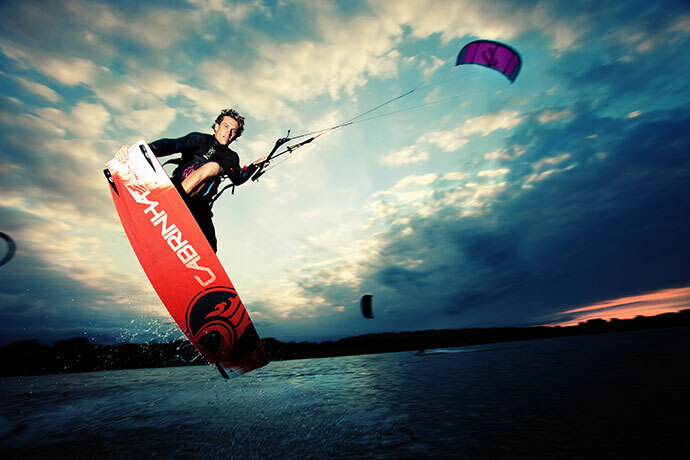 Kiteboarding started with a twin-tip version, which is like a wakeboard where people can go back and forth, and [then] the foil came into the mix – you can ride in really light winds and at really high speeds. What’s unique now is that you can take these hydrofoils and you can ride in any conditions and you can go really, really fast. For racing, anything that’s usually the fastest version is going to be the future… I see the potential, for sure, going into the foil version. So that’s why this is really cool as it could be the next direction for the Olympics. What’s it like going that fast (30 knots) and about 1m above the water? 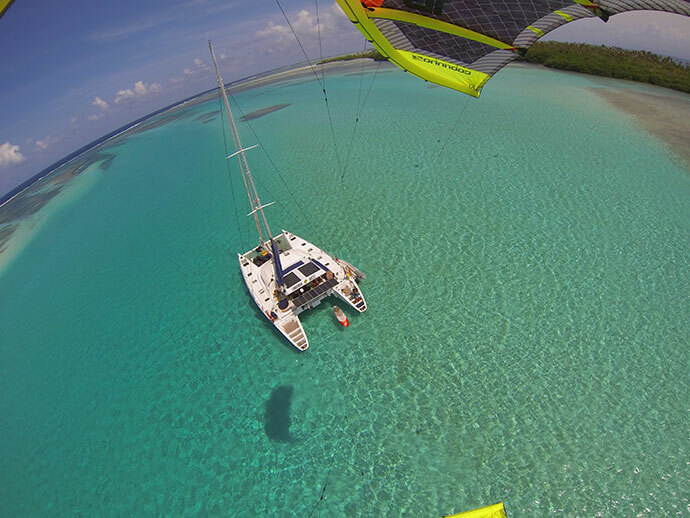 It’s one of the most magical feelings – you feel like you’re flying on top of the water. Everyone who tries it gets hooked; no matter what your ability – whether you’re a beginner or advanced – it’s just the perfect way to have a feeling you can’t describe. Is that what drew you to the sport? Well, let’s go back to the start first: you did a lot of sport growing up and it sounds like your Dad was instrumental in getting you into skiing? No question. I started as a professional skier and, when I was like 20, I made the transition to kiting, more because I was burning out skiing, wanted a change, and I had many injuries that set me back; but I’ve always been drawn to new challenges and I think right now this foil is a really new and exciting push for the sport and people growing up in it – it’s going to grow the sport. I’m kind of at a point in my career where… I was once young and was always trying to do really well, and I’ve kind of done really well in certain areas of kiteboarding, so now it’s time to give back and make it grow. You’ve travelled the world competing – what have been some of the most awesome places you’ve been to? I’d say Townsville, Australia; the greatest place on Earth! [Australia is] one of my favourite places – I’ve always said from the beginning as I’ve been here in Australia before on the Gold Coast years and years ago – and I love the people here. I think it’s the most magical place with the happiest people, and I live a really happy lifestyle. I’d say here, Greece is good, Cayman Islands is good, Israel is really beautiful, and you can’t go wrong with Hawaii and the Caribbean. I live a pretty good life and get to go to a lot of beautiful places. What sort of racing can we expect from this event? Obviously really fast! 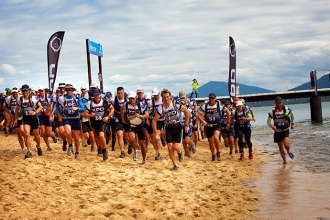 What’s unique about this event is – one – we’re in Australia, and – two – we have the best racers from around the world. This will be the best showing of the best foil guys in one spot – the best foil guys from France, America, and any country. It’s going to push the evolution of the sport and it’s unique because it’s in Australia and a place that’s totally new. So who do you think will be crowned the winner? I would say right now it’s a battle between three guys – John Heineken who’s the couple time World Champion; Maxime Nocher is from France and just won the [first KiteFoil Gold Cup race] in France, and Nicolas Parlier is another French kid who’s right in the mix so he has a chance to maybe take the win. But I think everyone’s just out to have a good time. Do you have any tips for people just starting out in the sport? 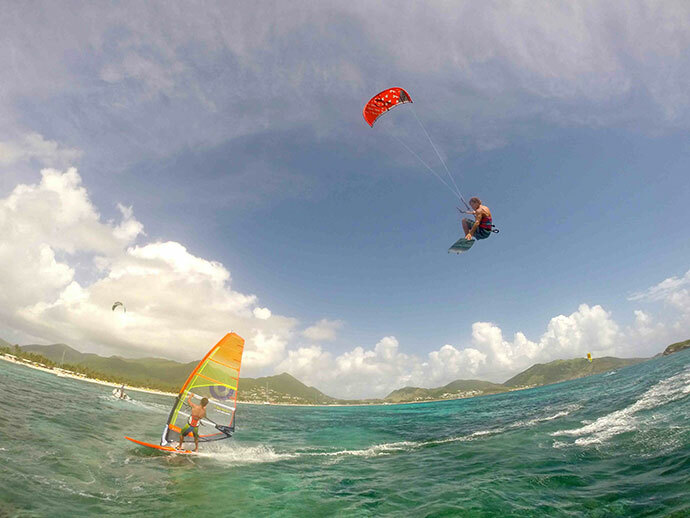 Sure, I would say no question, go to your local shop – In the Loop Kiteboarding here – and take some lessons and get yourself comfortable with the safety side. That’s what they are going to teach you; they’ll supply everything for you. If you take some lessons you’ll get hooked, I promise – your life is going to change. And then you slowly build into it, then you’ll be travelling the world and doing it. What skills do you need for the sport? 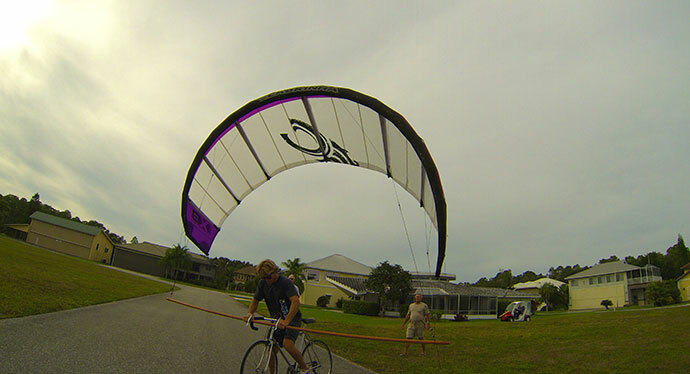 If you can walk, you can kiteboard – it looks very physical – and I think you can push the envelope of any sport to as physical as you want – but this sport is pretty open to anybody to be able to give it a shot. Was there a lot of crossover for you with your skiing? I would say there’s no question. My dedication is skiing was another level compared to kiteboarding, so my training and everything I put into skiing I just translated it into kiteboarding. 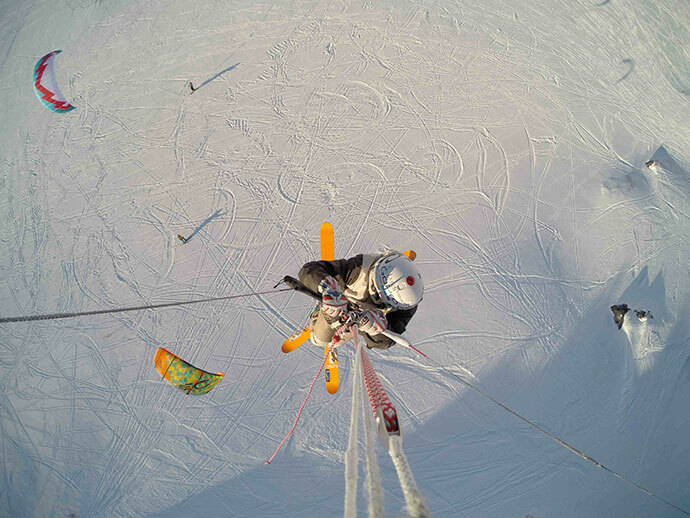 You can actually take these kites to the snow and we’ve just filmed a big thing in Alaska and it was mind-blowing. GoPro is going to release a video soon. The possibilities are endless – you can do it on land, you can do it on water, you can do it on snow – you can travel around with a little backpack and travel the world. 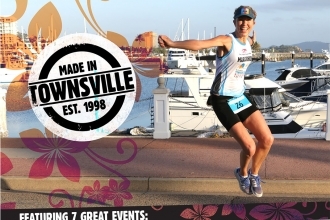 We know since you’ve been in Townsville you’ve already done the hill: What is it about getting active that you enjoy? I feel like everyone gets caught up in a bit of a negative “I need to go to work”, and “I gotta do…”; but the truth is if you enjoy going to work and make it a point to enjoy it, your whole life changes. So for us here, we’re on vacation and we’re competing and we want to do well, but in another sense there’s all these beautiful surroundings so we’ve been getting up and making sure we capitalise on everything. Anything else to mention? Come down and take a look at it; it’s a beautiful sight to see. Also, thank you for having us – we’re just so stoked to be here and we’re going to love every minute of it. 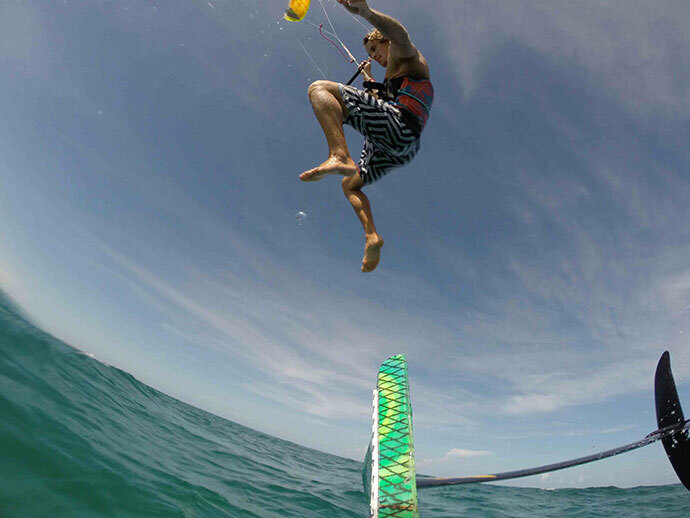 In the Loop’s Marvin Baumeister – considered amongst the world’s best kite racers himself – worked together with the Townsville Sailing Club and the JCU Kiteboarding Club to bring the best hydrofoil kiters from Europe, Russia, the US and South America to North Queensland. Local kiteboarders can join the world’s best in the public race on Sunday, September 28 – a big 15km downwind challenge from Nelly Bay to The Strand. Kiteboarders will be racing against the Sealink Ferry at 3pm. Watch all the action from jetty on The Strand (the race will finish around 3.15pm). For the rest of the week: The format of the KiteFoil Gold Cup is that there will be three to six races per day from about 1pm onwards. Kiteboarders will leave from the Townsville Sailing Club. 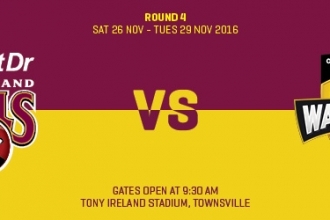 The medal presentation will be on Wednesday, October 1 at 5pm at the Townsville Sailing Club on The Strand.